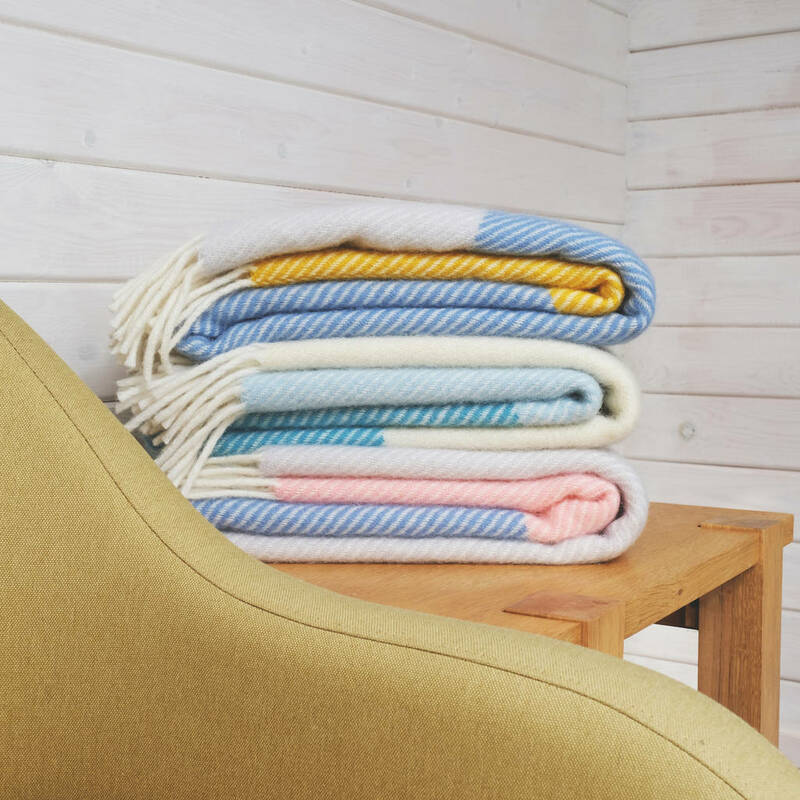 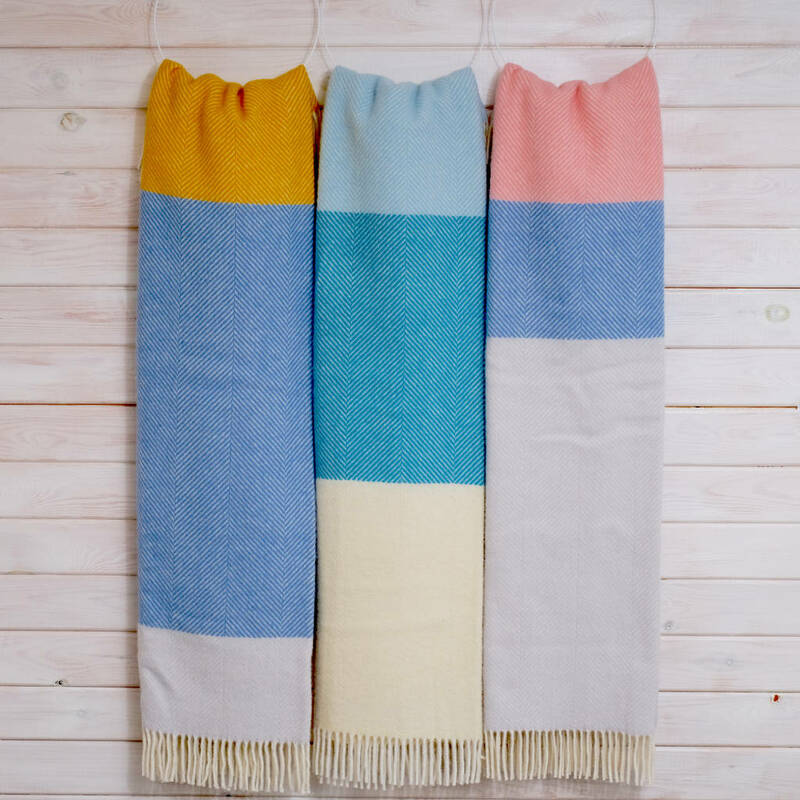 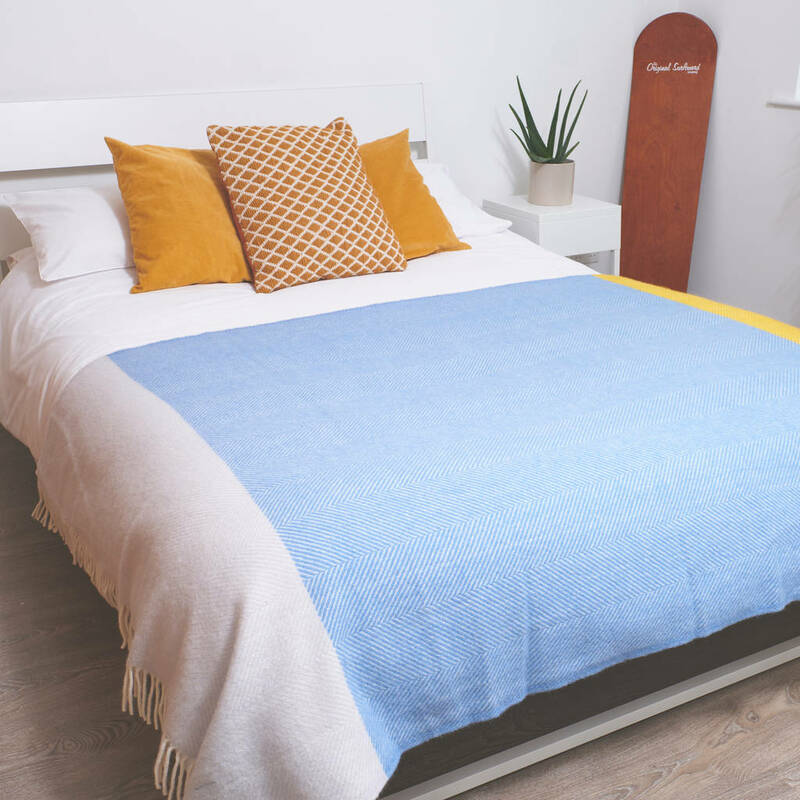 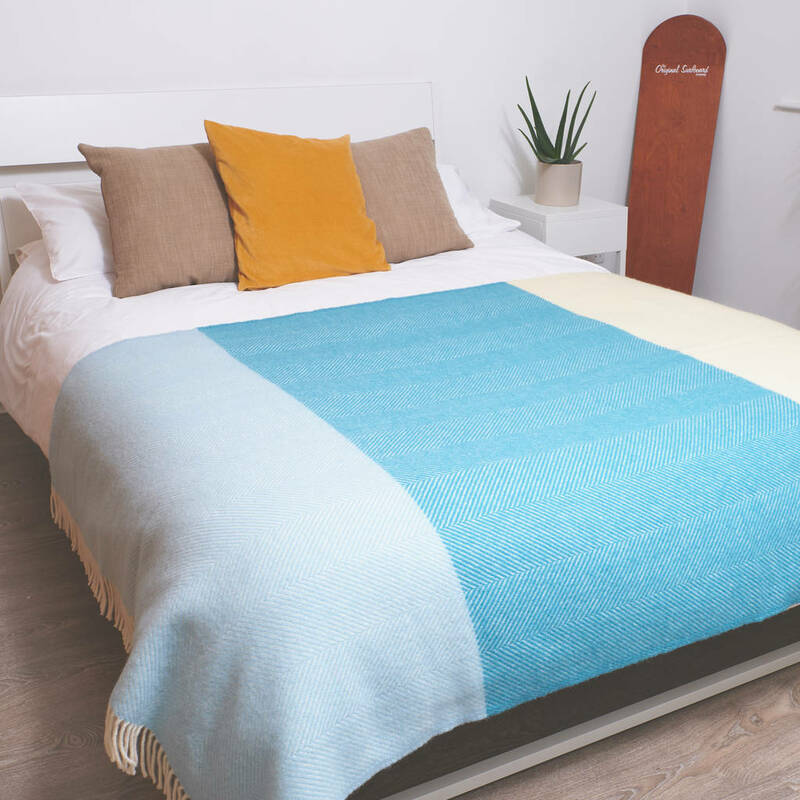 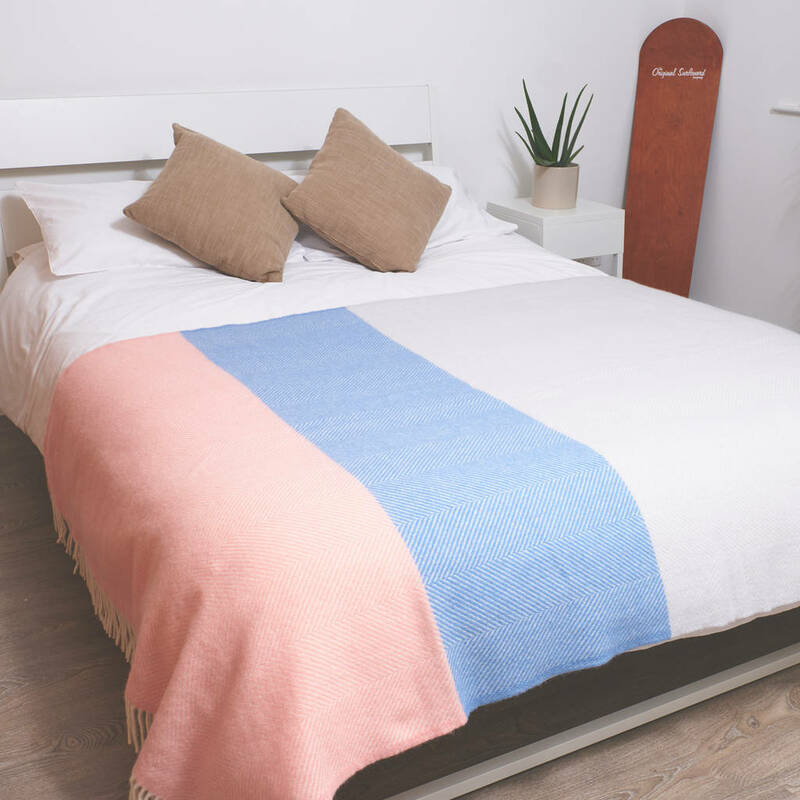 A collection of bright block colour wool blankets, made in Britain, inspired by the tides of the sea. 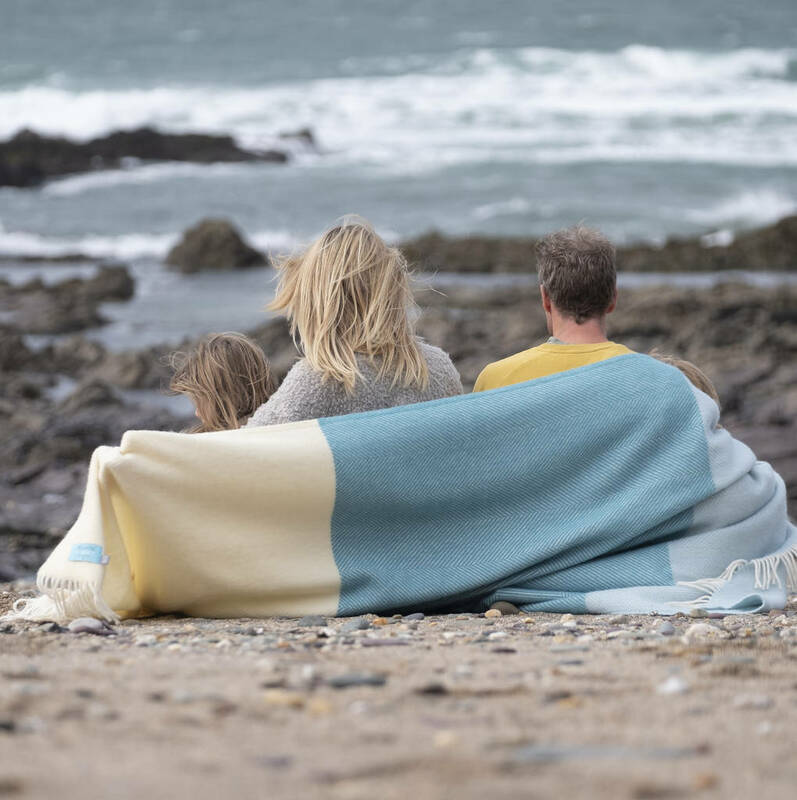 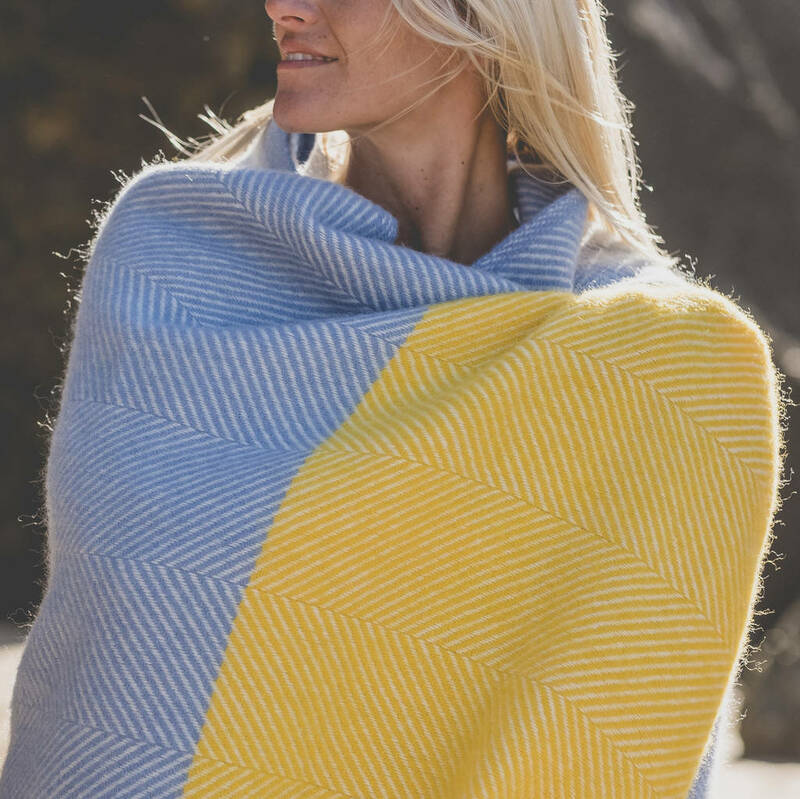 The new Tides Collection is a trio of three block colour designed wool blankets, each depicting the tides and representing the sand, sea, and sky. 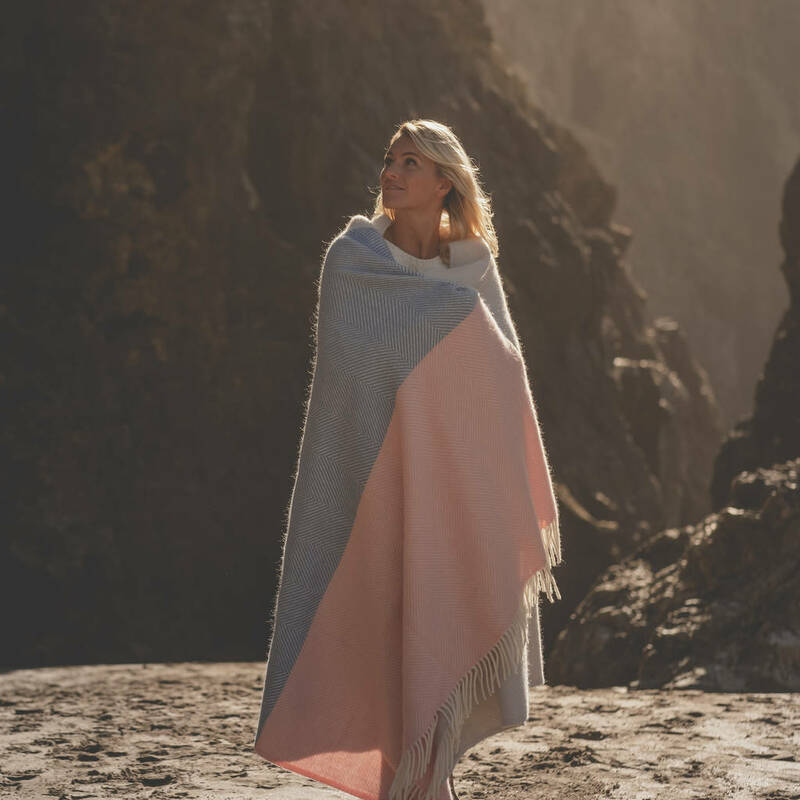 High tide at Dawn includes the bright yellow sunrise, mid tide at Noon has hues of blues, and low tide at Dusk shows the pink skies at night.